For a minimum Down Payment of only $3,000, our Rent-To-Own program can be utilized as an additional financing option for this clean work van! Outfitted for working, this Caravan has no rear seating. The flooring is overlayed with cargo liner. Transmission was replaced with a newer factory transmission with only 69,000 miles. This van runs so smoothly and the air conditioner is ice cold! 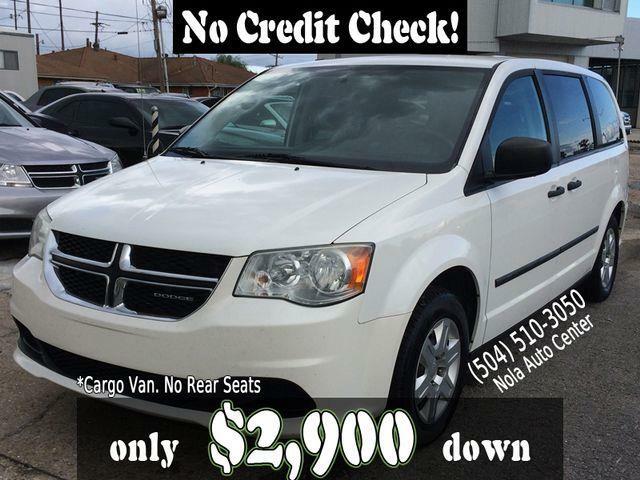 Visit Nola Auto Center online at nolaautocenter.com to see more pictures of this vehicle or call us at 504-510-3050 today to schedule your test drive. An Extended Warranty may be available. Unless otherwise and explicitly stated, all vehicles are sold AS-IS. YOU WILL PAY ALL COSTS FOR ANY REPAIRS. The dealer assumes no responsibility for any repairs.regardless of any oral statements about the vehicle.